Brittany Stewart submitted this photo and caption. 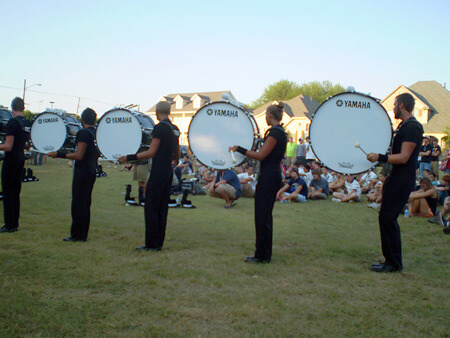 This is a photo of the 2008 Crossmen bass drum line. My friends and I went to see them perform in Dallas and loved their energy in the lot. My brother is actually going to be marching as a member of the Crossmen bass line this coming summer. I can't wait to see what they have ahead of them for this year. It should be great!